Leslie Crawford always thought she’d wind up living in the country raising vegetables and animals on a farm straight out of Charlotte’s Web. That didn’t happen, though she does have six chickens and five rescue pigeons in her San Francisco home. 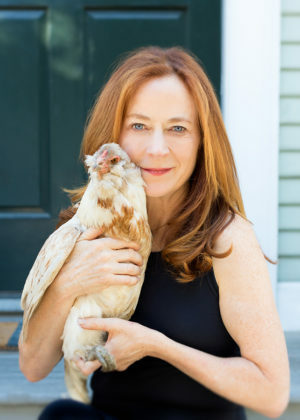 Crawford became a writer instead, producing stories for San Francisco Magazine, Salon, Metropolitan, and many other publications and websites before channeling her farming aspirations into a story about a hen who finds her way out of a cramped cage into a life of adventure with a young boy. 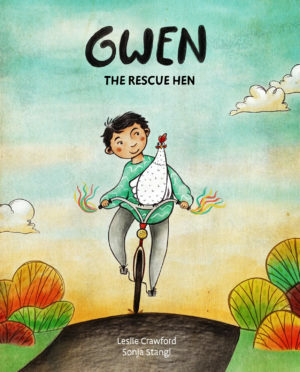 A vegetarian but in no way a self-righteous one, as she likes to point out, Crawford thinks of the her ongoing children’s book series as gentle reminders that all farm animals are worthy of respect. Leslie loves any excuse to write and speak about topics relating to sustainable food, animal welfare, and children’s books. Things aren’t looking good for Sprig, who is packed into a fast-moving truck with dozens of other pigs. He doesn’t know where they’re going but his nose knows there’s something better out there. So with one dramatic leap, or really more of a tumble, Sprig sets out on a pig-centered adventure that leads him to his new best friend, a girl named Rory. 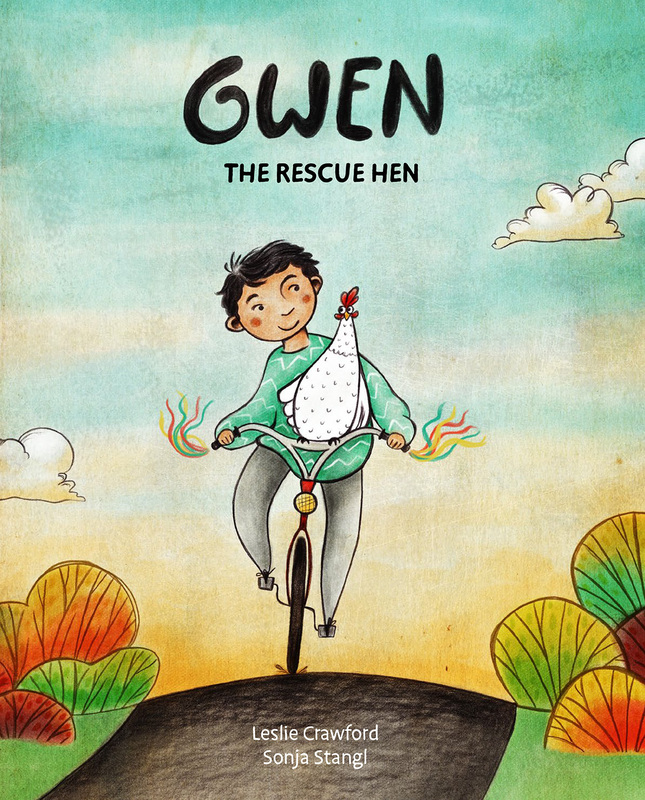 Inspired by true events, this light-hearted tale introduces kids to an intelligent and inquisitive pig who finds his way to an animal sanctuary. The book includes a bonus section called “More About Pigs,” where curious readers will learn that pigs are smart enough to play video games, enjoy sleeping in cozy pig piles, run really fast, and other amazing facts. 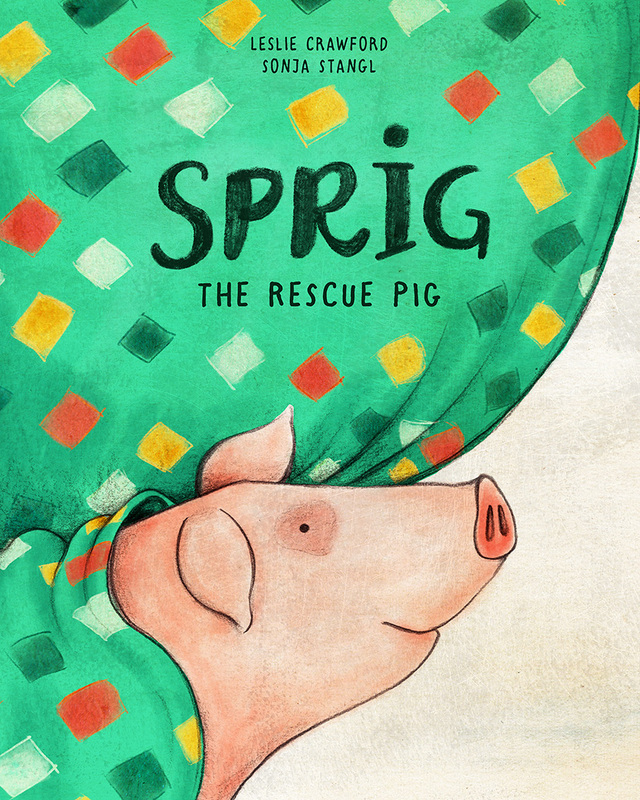 Sprig the Rescue Pig is the first children’s book in our series on farm animals, perfect for ages 4 to 7.